Given the continued growth of both the medical and esthetic device market as well as the sales explosion of home beauty care, BIW is pleased to present the Co-Inventor and Founder of the unique HydraFacial MD ® system. As the first non-invasive skin rejuvenation treatment that combines five multidimensional skin technologies to exfoliate, peel, extract, nourish and protect skin with hydrating hyaluronic acid, peptides and protective antioxidants, all in a fast, 30-minute treatment. The system treatment service boasts immediate, clinically-proven results and HydraFacial® has won several industry awards. Available through physicians, spas, and estheticians in 76 countries around the world, along with their retail home use products, Edge Systems is now launching their patented technology into the home market. The new device, Perk Cleanse with Benefits™, is a novel hybrid that combines an in-office service with their retail home care product technology offering take away lip, face and eye treatments. Our Speaker will discuss the founding and development of HydraFacial as well as their continued growth and development efforts and expansion into the new markets. Bill Cohen - President & Co-Founder, Edge Systems LLC. 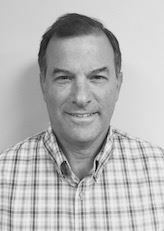 With over 25 years’ experience in the medical and aesthetic device industry, Bill is the co-inventor of the HydraFacial System and holds a BA in Biological Sciences from UC Santa Barbara and an MBA from the U.C. Berkeley. HydraFacial is a patented, disruptive skin technology sold in over 76 countries and the HydraFacial skin treatment is one of the leading facial rejuvenation services in spas, resorts and physicians’ offices, and is the only hydradermabrasion machine that uses the patented 4-in-1 Vortex Technology™. Founded in 1997, Edge Systems is a U.S. based company with an FDA-listed manufacturing facility headquartered in Long Beach, California. The company currently holds 17 U.S. and worldwide patents, with 14 pending, and the HydraFacial device is made in the U.S.
*Note: In order to keep our meeting prices low (and our waistlines smaller), we are dispensing with desserts except for special occasions.